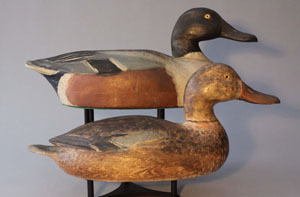 $6,900.00 - Pair of shovelers by Ben Schmidt. $3,737.50 - Redhead by Jim Schmiedlin. 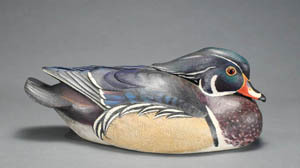 $2,587.50 - Wood duck by Jim Foote. 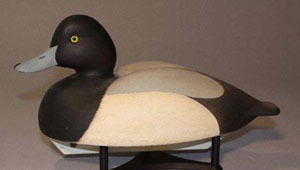 $1,495.00 - Pair of bluebills by Roland Jarvis. 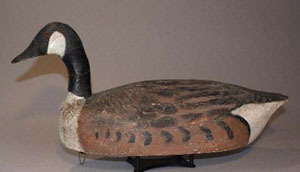 $1,725.00 - Canada goose by Frank Schmidt. 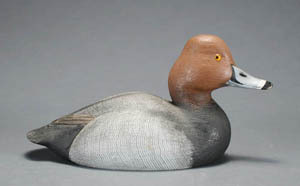 $1,380.00 - 1/2 size redhead by John Zachman. 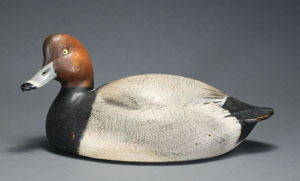 $1,265.00 - Bluebill by Bill Schultz.